I treated myself and bought a new computer. It arrived yesterday – a Lenovo Yoga 730. I got the active pen as well, about which I know nothing. 🙂 I gather it lets me draw on the screen. How can someone be so ignorant about their new computer? I don’t pick my own computers. I (like Blanche DuBois) often depend on the kindness of others, in this case coworkers, not strangers. Way back at the end of the summer I asked a former coworker for advice on a new computer. He’d given me great advice when I was searching for a hard-core gaming computer to handle Second Life and Open Sim. That was all the way back in 2010 and I got an Alienware. I still have that Alienware and it is still going, but I can’t upgrade it and USB ports are a bit different now, and so are operating systems. Somewhere between then and now I bought myself another computer that could handle gaming and virtual realities. That one was the same machine that we’d bought our son, with a few enhancements added. I never got a chance to use it. First my son broke his, so I gave him mine. Once it returned to me, my sister’s computer ceased to run her programs so I lent her mine. Permanently. 🙂 I love my sister. So here I am, without a modern functioning computer. I back up all my iThings to the Alienware, but I’ve discovered that I cannot write from it to the iThings. I had to do my last phone update by using my work Mac. It’s time already for a new machine. I took the list of suggestions from the first coworker and showed it to my former teammates, whose opinions I have ALWAYS sought and trusted. I told them all that the only thing I do anymore is read mail, blog, social media, and process photos. They all agreed on the Yoga 730 and they all told me “buy the pen, you’ll like it”. Okay, I did. I haven’t even opened the box yet, *grin*, but I’m sure one of these days I’ll figure it out. So why “another step away”? Because I suspect this machine will NOT run Second Life. 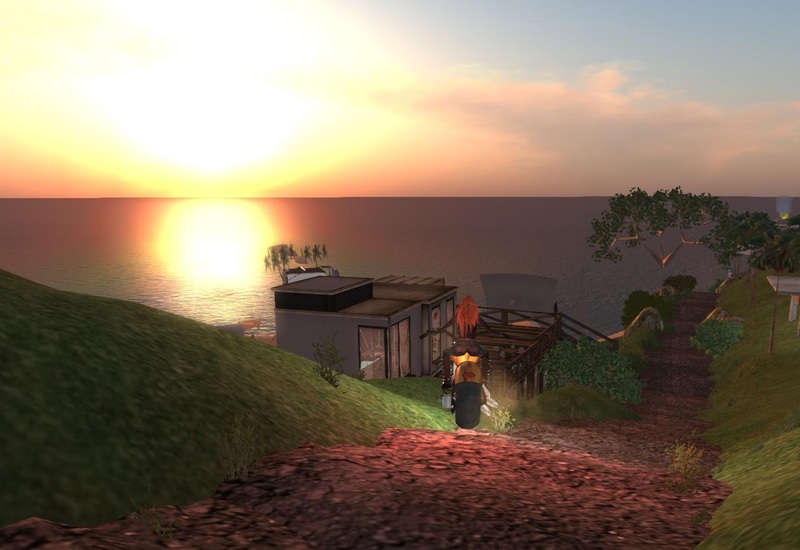 I loved my time in SL. I’ve written about how much fun I had, how it challenged me, changed me, shaped me. I’ve written about the friendships I made that exist today and moved from virtual reality to RL reality. I still, foolishly, maintain my premium membership, although I have surrendered all my land. I want to go back, but there is no “back” – we have all moved on. Some of my friends are virtually dead, others have passed away in physical reality. Buying a non-gaming computer is yet another step away from the past. You can take the woman out of SL, but you cannot take the SL out of the woman. No matter WHICH computer she buys. 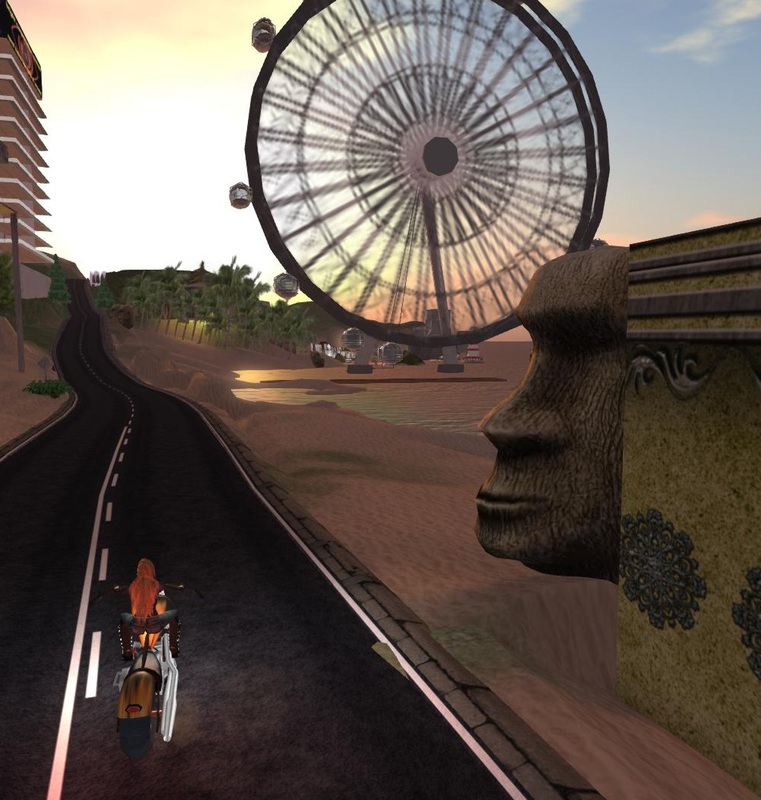 If you’ve read this blog from its inception, you know it began as a chronicle of my adventures in Second Life. Although I still maintain my (premium) account, I’ve not logged in for well over a year, maybe even longer than that. But for several years Friday night meant hanging about in SL, and listening to live music. I could always count on hearing Komuso Tokugawa, Von Johin, Taunter Goodnight, Keeba Tammas, Euterpe Queller, and Noma Falta. I loved them all but 2 of my best buds were friends with Noma. Friday nights would find me hanging with them for an hour, rocking out with Noma, who covered a lot of the strong women rockers, with a lot of Melissa Etheridge’s work. I loved my Friday nights filled with music, whether the live performances or hearing my favorite DJ Calli spin the tunes. It’s been a very long time, as I said, and not only do I not get inworld anymore, I rarely get out for live music in the RL (is that outworld?). When my husband asked me a few weeks ago if I’d like to hear Melissa Etheridge I couldn’t say YES fast enough. Last night was Melissa-night. We headed out for dinner in town first. We love catching an easy meal at the bar of one of the local restaurants. We love the bar (I mean the physical tangible wood, shape, look), the bartender (we’re on our 2nd bartender there), and the bar menu. I’m less thrilled with the dinner menu – the chef is enamored of pork in all forms and I don’t eat treyf. We were in luck all night long. There was room in the parking garage with a spot right near the exit door we needed. We walked to the restaurant and it wasn’t too cold nor was it raining. Given the weather lately, that was extremely lucky. There were seats at the bar (often come the holiday season the bar is full). When I told Matt (the bartender) I wanted something that would be warm and comforting he mentioned they had hot mulled red wine. PERFECT!!! My husband and I both ordered our favorite selections and sipped our drinks, chatted with each other, with Matt and had a great dinner. We headed up to the theater and although it seemed like it might start raining, it stopped after just a very light sprinkle. We were warmed up from our meal so I have no idea if it was cold or not. *grin* Funny thing happened as I went through the bag check. The usher was looking in my bag and saw my lip gloss (really a lip moisturizer). She saw the brand name and got all excited saying she had wanted to try that brand, how did I like it? *laughing* So I stood there discussing cosmetics with her before being waved on through. Perhaps my memory is faulty, but I seem to remember that when someone went to a concert there was no food or drink allowed in the theater, people listened to the performance and being there was about enjoying the performance, NOT about having conversations and wandering all over the theater. Times have changed. I admit I like being able to take a drink to my seat. But I noticed the gentleman in front of me reading recipes on his cell phone (I was standing, he was sitting and I happened to glance down). Really? Melissa is rocking the joint and you’re reading your cell phone? I’m old enough to remember folks lighting cigarette lighters or matches as appreciation for the artist. I do not find folks holding up their cell phones to shine that light to be anywhere near as intimate and compelling as the fire. 🙂 I also marvel at the people who spent most of the night filming Melissa instead of putting down the phone and WATCHING her DIRECTLY and moving to the music. It was a great night, don’t mistake me. Melissa has such energy, such passion up there. As my husband said on our way out “she has energy like Bruce” and I agreed. I don’t think I’ve ever seen anyone who has Bruce’s energy but she may have come the closest. Oh really, you need me to tell you who BRUCE is??? Shame on you. The Jewish calendar has many twists and turns. Our dear friend Lalo Telling passed away on the 1st of Tevet on the Hebrew calendar in the year 2012 of the Gregorian calendar. That means that his yahrtzeit (the anniversary of his death) occurs during Rosh Chodesh. Some Hebrew months always have TWO days for Rosh Chodesh. Some Hebrew months always have ONE day for Rosh Chodesh. Some months, well, it varies. You probably guessed that for Tevet it varies. This month Tevet has one day, apparently. I believe that means that starting at sundown on December 3, 2013 through sundown December 4, 2013 is the first day of Tevet and is Rosh Chodesh and is indeed Lalo’s yahrtzeit. If I’m wrong – I think Lalo will forgive me. It’s been a year. I miss him still, very much. Passover came and went without him skyping in to our celebration. After only 2 years he was a regular and the other regulars all asked after him and missed his presence. The high holidays came and went in the fall and there was no Lalo to discuss d’vrei Torah and sermons and meaning and customs. Now it’s Chanukah. Last year I flew out to be with him. We lit the Chanukiah, we sang the prayers, we sang other songs and blessings. Despite the sad reason for my presence, we had a very very good time. I am grateful that I had the opportunity to be with him then. Lalo and I didn’t know each other all that long in SL. 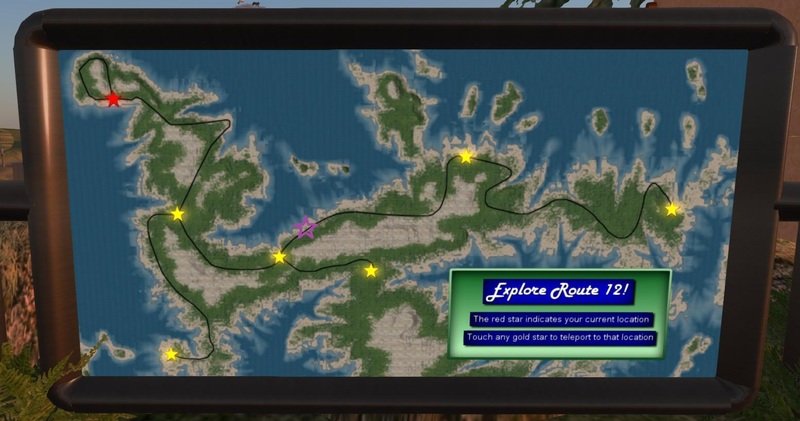 We met in the late winter of 2011, inworld. We happened to be at the same musical event. I’d been following his blog and IM’d him to introduce myself. 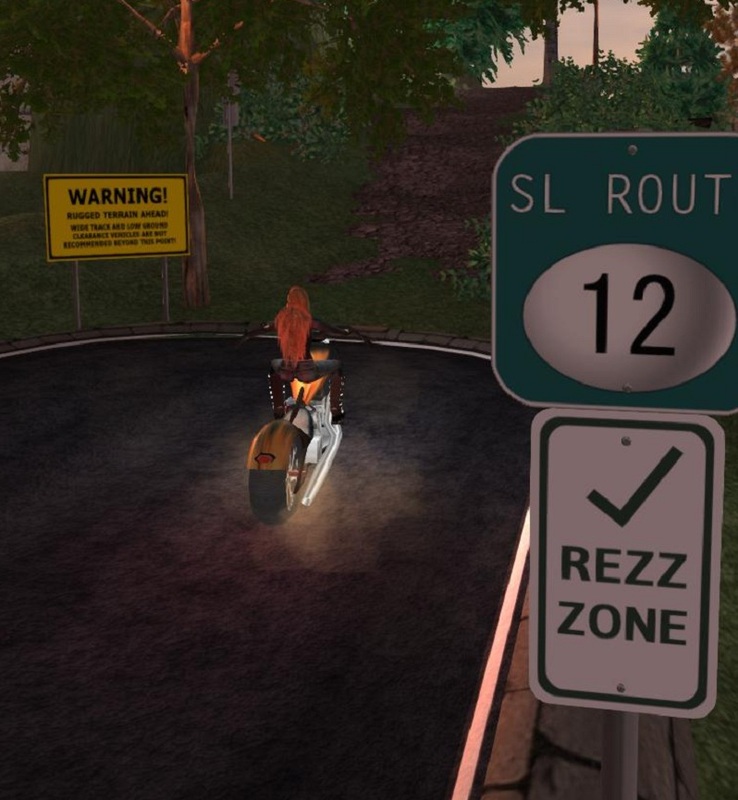 As it happens so often in SL, we clicked. 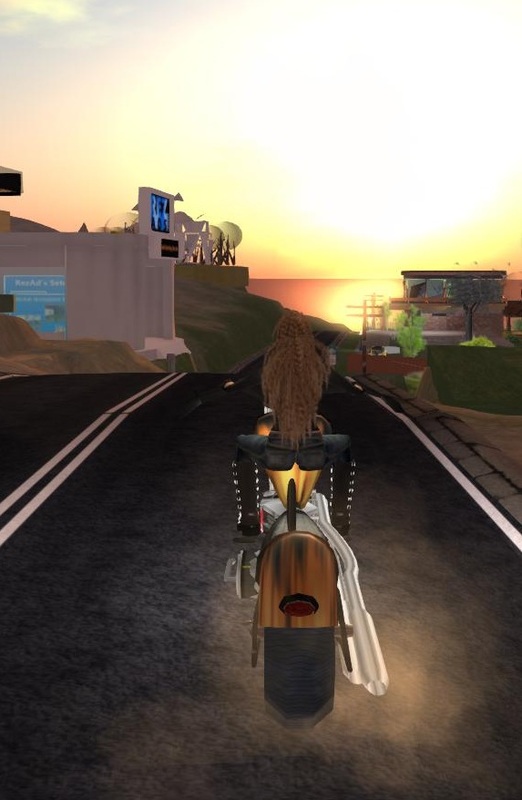 We cared about many of the same things, laughed at the same things, enjoyed playing in SL. 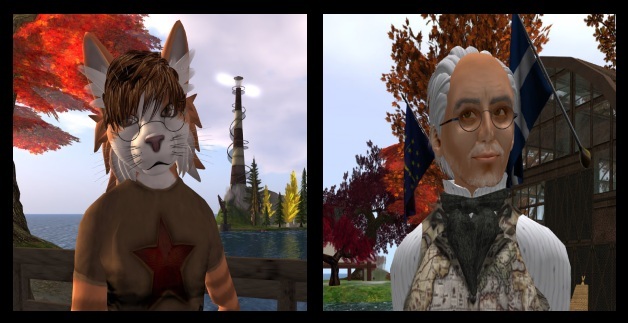 I still have not written up half the adventures that Lalo, Bamboo and I took together in SL. The one in the truck with Bamboo, when we were run off the road by a tank – that was a true SL/Lalo/Ahuva/Bamboo classic. Shortly after I met him he was blessed with a FL friend and companion, Emspar. He and I had less time to play inworld because his outworld was so full of joy with Emspar and with work. We still had Friday nights at Tribeca with the rest of the gang, and Fridays at The Listening Room with those wonderful folks, and dancing at Fogbound and with Noma and Taunter and Komuso. 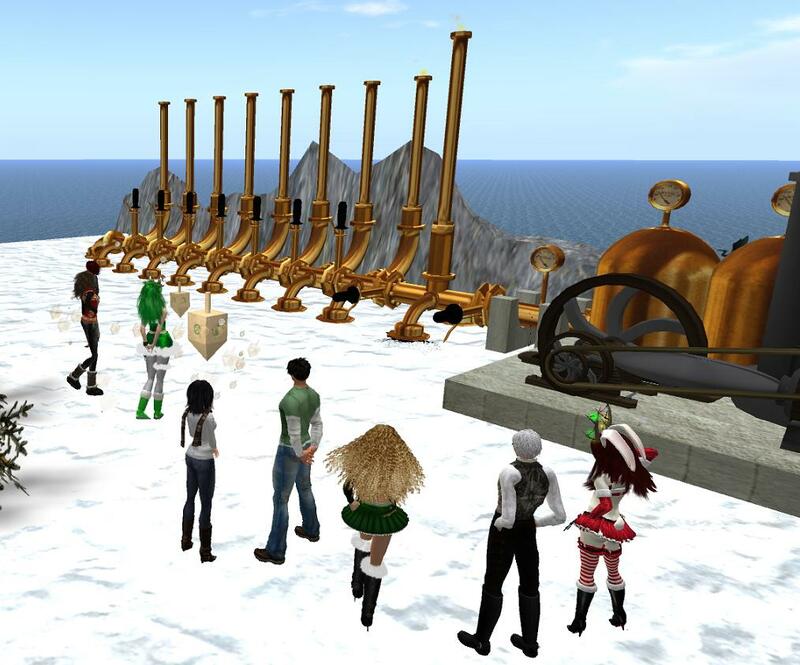 We visited SL amusements, learned to ride horses at Carriage Trade, did the big SL celebrations. When I look back, by the Gregorian calendar it wasn’t very long. But in SL terms it was. SL has never been quite the same for me since he died. I feel the loss so keenly there. A part of me still checks the friends list to see if he’s logged in yet. I love to think of Lalo. I love to remember our conversations on Judaism, on engineering, music, books, life. He was intelligent, witty, funny, and so full of interesting information. I miss you, dear friend, more than I could have ever realized. Thank you for enriching my life. Your memory is a blessing to me. Lest you think I closed my SL account and faded out of the digital world, I offer proof of my virtual presence. 🙂 Dz’s rez day was yesterday and Daez threw a party! *laughing* Of course, being Daez, she put her own twist of fun into it – she had Dz help plan it without knowing that it was for Dz! I rather like that, myself. What I liked even more was that Daez got word to me a week in advance so that I wouldn’t miss the party. I put it on my calendar and made sure I had reminders triggered so that I wouldn’t get distracted and lose track of time. 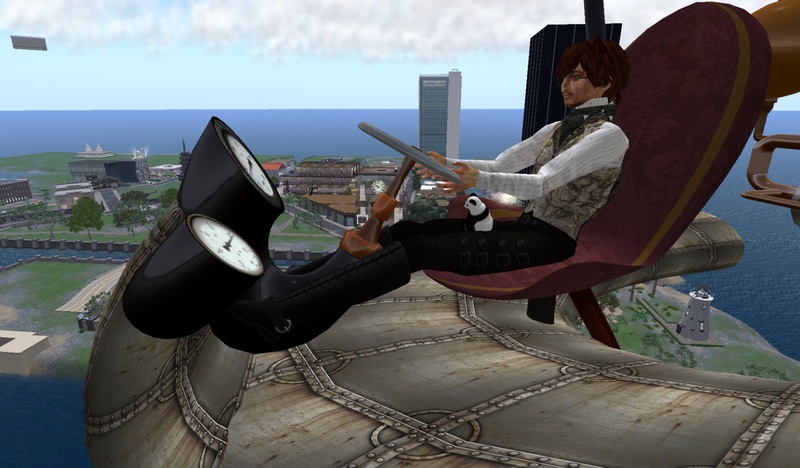 I came inworld and changed quickly into appropriate attire. It was a gorgeous day today – nearly perfect weather. I really wanted to just wear jeans and a tank top but I knew the wind would sting. So jeans and my leather jacket, leather boots. and some glasses to protect my eyes. 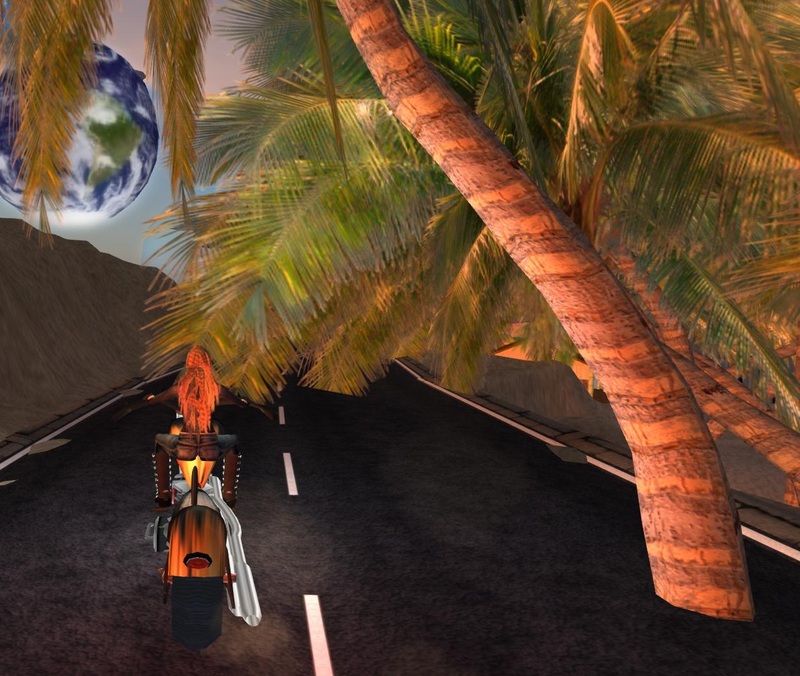 Tie my hair back, (don’t need no stinkin’ helmet in SL), a pair of gloves and I was ready to ride. I live near Rt. 12 – an easy hop over to the road. It took me a bit to remember the controls. Always helps to read the directions. 🙂 And I was off….. Ahhhhhhhhh……. Feel that motor purr……..
Of course, no SL road is complete without one of Ann Marie Oleandar’s vehicles on the road. HAH!!! I had to return a crashed tank that was resting on my land, but I left THIS particular tank waaaaaaay behind. Eat my dust!!!! Or smoke, as the case may be. I have to say that sim crossings have gotten MUCH better. Yes, I vanished through the road, or careened madly about in the air, but I always found myself righted and ready to ride on. And ride on I did. On and on and on and on. Lalo and I had driven quite aways along Rt 12, but we never made it as far as I went tonight. Tonight I went to the end of the road and back. 🙂 Without any elves or goblins or hobbits. The road gets a bit bumpy there at the end, and there is a lot of low-hanging foliage. But there are some beautiful sights. There is even a visitors’ center. I may have to head on back there some time and check it out. The chopper did the trick. I had the purr of the engine, the sights of the scenery, the adventure to the end of the road. The frustrating situations are still there, I’m sure, but at least I escaped them for a bit and feel as though I’ve left them far far behind. As Scarlett would say, tomorrow is another day. Bring it on.